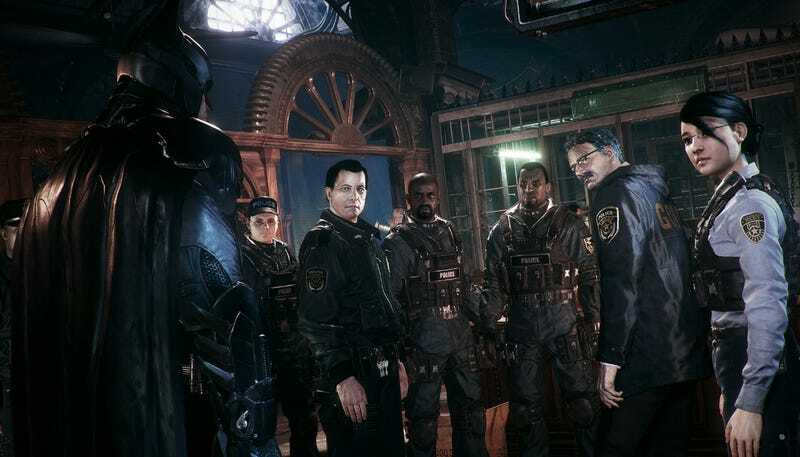 It’s not clear if this happened because of how Steam works or if Warner Bros. pulled the trigger, but the publisher finds themselves in an interesting spot. By most accounts, Arkham Knight is a vastly better game with the patches, meaning it’s a different game from the one that shipped in June. It was not a game that entered Steam’s early access program—it was removed because the port was terrible. If Warner Bros. (or Steam) deleted the reviews, that’d be bad. If Warner Bros. (or Steam) had kept the reviews as they were, anyone who visited the page would suspect the game would run like crap on their PC. A more accurate label for those reviews might have been “pre-patch,” but the Twitter exchange I had with a reader who pointed this my way got me thinking. It’s a good point, though I’d argue Arkham Knight is an extraordinary circumstance. We’re wading through some uncharted territory here.